$100 per semester, for at least 10 sessions. $85 for siblings. 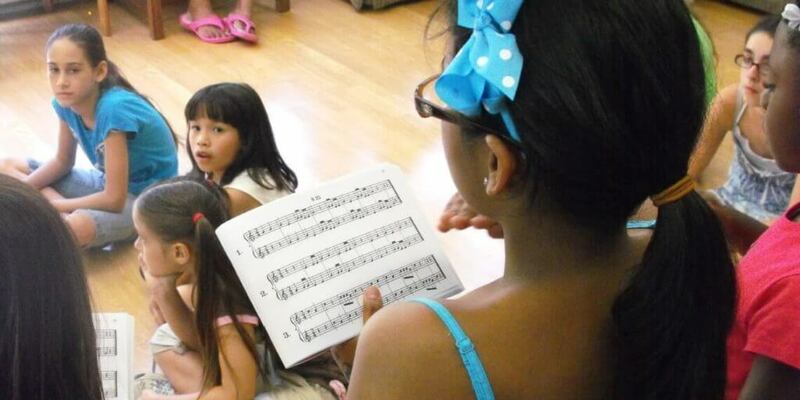 We currently offer music classes for children and youth. All the activities are interactive and age appropriate. We find joy in singing church and folks songs, playing lots of singing games and enjoying folk dances. We sing echo songs, call and response songs, and rounds. We also play rhythm instruments and handbells. Come Sing, Dance and Make Friends! How often do the children and youth perform? About four times a year, we sing for Family-Friendly Worship Services at Castleton Hill Moravian. These relaxed, interactive services are geared toward children and their families. We may also sing for the Staten Island Moravian Christmas Vespers, a year-end concert at New Dorp Moravian Church. What if I have concerns about the fee? If the fee presents a financial hardship, other arrangements can be made.